It’s wonderful to have some sunny weather for a change but when the temperature starts to climb, there can be some unpleasant side effects from the heat. What are the risks of hot weather? In a severe heat wave you may get dehydrated and your body may overheat, leading to heat exhaustion or heatstroke. Both need urgent treatment. 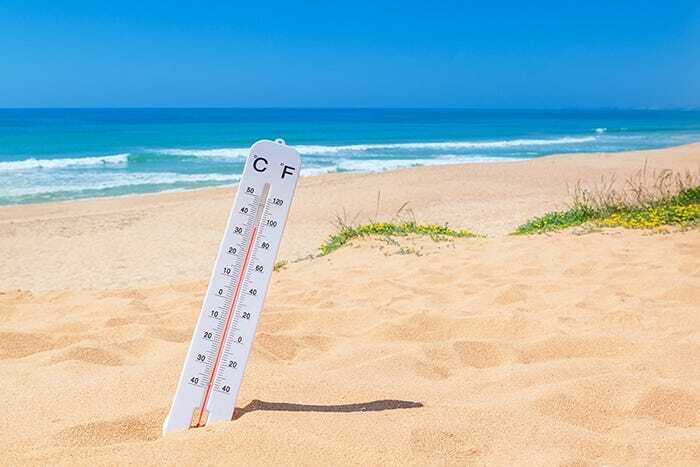 The symptoms of heat exhaustion include headaches, dizziness, nausea and vomiting, muscle weakness or cramps, pale skin, and a high temperature. You should move somewhere cool and drink plenty of water or fruit juice. If you can, take a lukewarm shower, or sponge yourself down with cold water. Heatstroke can develop if heat exhaustion is left untreated, but it can also occur suddenly and without warning. Symptoms include headaches, nausea, an intense thirst, sleepiness, hot, red and dry skin, a sudden rise in temperature, confusion, aggression, convulsions and loss of consciousness. Heatstroke can result in irreversible damage to your body, including the brain, or death. What else can you do to stay cool? Keep an eye on the weather reports, which will let you know if a heat wave is on its way. Also if you have breathing problems or a heart condition, your symptoms might get worse when it’s very hot, so it may be a good idea to contact your GP for advice.